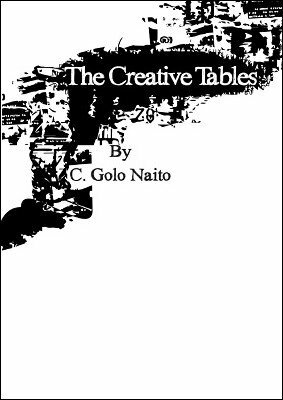 The Creative Tables is a 30 day training workbook, which will make you start thinking about your magic in a new way by generating new ideas. Do you want to be more creative with your magic? The way to push your magic to the next level is not by buying the latest effect, but by becoming an idea machine. Anybody can buy an effect and perform it like everybody else. But to make the effect really your own, you have to give it something more. This is exactly what this ebook will help you accomplish. The Creative Tables is a 30 day training workbook, which will make you start thinking about your magic in a new way by generating new ideas. C. Golo Naito will give you a starting idea (e.g. Things you can bend, a new presentation for the Invisible Deck, etc.) and then it's your turn to create 10 more ideas on your own. If you want to be more creative, then this ebook is exactly what you need.